Sumter Mall is alive and well today in the small city of Sumter located roughly between Columbia and Myrtle Beach. Sumter is a comparatively wealthy city with eight major employers including USC-Sumter, two other colleges, Shaw Air Force Base and Pilgrim's Pride. While I have not personally seen the mall itself, it is a very basic mall that is now part of the Hull Storey Gibson collection of malls. However, when it opened it was a far different story. 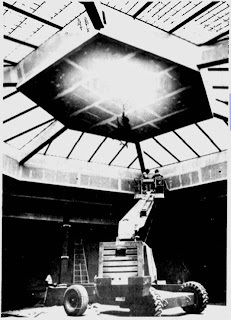 Then, it was a very heavily hyped locally when the mall opened on July 6, 1980. It was also known by a different name, Jessamine Mall, named for the state's flower. Built by Jim Wilson & Associates, the mall featured all of Sumter's downtown department stores making up four anchors. 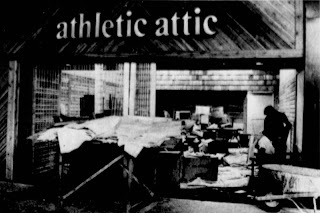 The single-level mall also featured Rite-Aid drugstore long before their Southern sweep, and it opened with a basic but solid roster of tenants for its era. 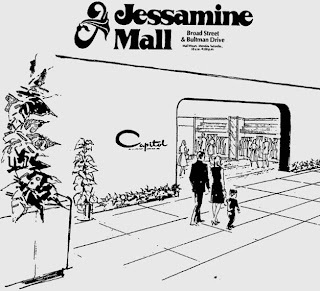 Jessamine Mall as it was called was anchored by Belk Stroman, Capitol, JCPenney and Wilson's Showroom, a catalog merchant. 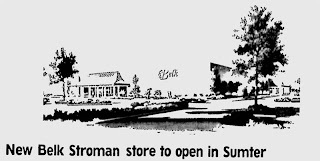 Belk Stroman was unique in that it was was a little known Belk partnership store located only in Sumter, which was acquired from Belk Robinson in 1942. 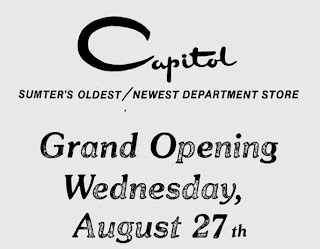 Capitol was a store unique to Sumter, and it was not only the city's first department store, but it was also the last to open at the mall opening on July 27th. Capitol was originally not interested in opening at the mall, but changed their minds later. 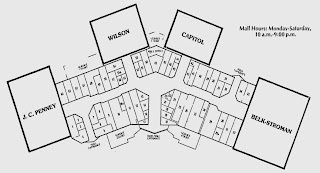 JCPenney and Belk Stroman formed the major anchors on each end of the mall, while Capitol and Wilson's were both junior anchors close to the center. Views of the mall under construction as well and two of the original tenants. The second is still there today. The 1980's saw a shakeup of the anchors when Capitol Department Store shut down in 1982. It was the first in the city, the last in the mall and unfortunately the first to close as well. Unfortunately, small town department stores that relocated to malls in that period lost their core niche and thus were unable to compete against stronger competition. Next, in 1985, Wilson's was sold out to Service Merchandise, though it is unclear if the store was converted. After that, Tapp's arrived in 1986 to fill the space vacated by Capitol. This was the only Tapp's location outside of Columbia. The wheel of change did not actually stop turning until 2000. 1995 saw the departure of Tapp's after the chain liquidated. 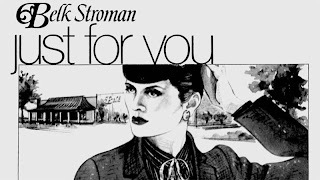 1998 saw the end of the Belk partnership stores with Belk Stroman becoming simply Belk, but it was never signed as such on the exterior anyway. Lastly, Service Merchandise folded as a chain in 2000. Belk Stroman at Jessamine Mall. The store never actually said "Stroman" on the outside similar to how "Beery" was not displayed on the outside of Belk Beery in Savannah. This store looks pretty much the same outside today. This Belk Stroman ad shows a model in the front and a pic of the store in the background. Mr. Stroman was obviously very proud. 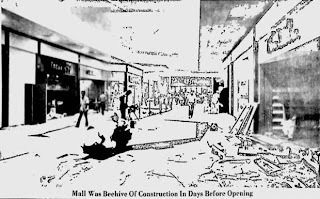 Included here is a drawing of the Capitol Department Store mall entrance and another part of the ad below with the store logo more prominent. That was one swanky store logo! I wonder if the store was as nice as the logo looked. Capitol closed in the early 80's. JCPenney looking straight-up 70's. Note the planters in the second scan. Rite-Aid hasn't changed much aside from how many places you find them today. Their purchase of Eckerd and Harco in Alabama gave them great leverage. Wilson's logo. It makes me tired somehow...or maybe I'm just tired. Sumter Mall received its last renovation in 2002 after the Hull Storey Gibson takeover. 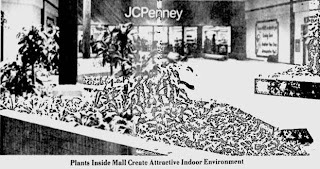 Considering similar malls, this likely meant carpet throughout and a removal of any and all fountains and planters. The former Tapp's and Capitol location is today Sears, which arrived in 1989. Sykes Enterprises, obviously a non-retail tenant, took over the former Wilson's location. 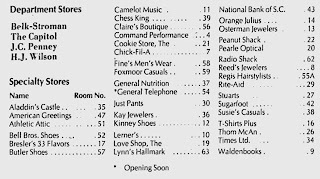 Several shops also continue to operate in the mall, which were there from the day it opened including Lynn's Hallmark, Claire's, Waldenbooks, Radio Shack, Reed's Jewelry, Rite-Aid, Regis, Radio Shack and of course Chick-Fil-A. While the mall today still lacks the offerings of nearby Columbia, it is a healthy mall that is among one of the most successful in the Hull Story Gibson portfolio. Original mall map and directory. I bet the original center court was something special judging by that map. That is, unfortunately, quite doubtful today. With this, even though this is not one of the more exciting malls I have covered, I definitely wanted to show you this very interesting collection of photos, ads and mall promotion from just before opening day in 1980. Maybe soon I can find some photos of how the mall looks today to compare to the original Jessamine Mall. If the American mall is dying, especially the smaller ones, Sumter is definitely not one of those. This takes me back to when Grand Openings were a big deal. Very nice. A small market mall walks a delicate balance, even when local demographics are strong, the population isn't large enough for most stores to operate profitably unless the city is the retail anchor for a large hinterland. As a result, beyond Sears and JCPenney, the anchor department stores carry fewe lines, leaving the higher end purchases to still go to the locations in the major market, in this case, Columbia. Belk would end up more typical of the small town stores, generally carrying the most upmarket merchandise mix available in Sumter, but very abbreviated compared to what would be found in Columbia. The demise of Melville Stores and F.W. Woolworth's specialty mall stores, successor FootLocker still operates Champ Sports and Footaction, has limited the number of in-line mall stores, that have resulted in local retailers filling the voids at best and high vacancy at worst. In this respect Sumter Mall seems to do well. In a larger mall, local stores are definitely a sign of decline, in this size market, it doesn't, unless the tenants offer a merchandise selection that is out of step with a mall setting or a targets a less desirable demographics. Given that Sumter missed being on either I-20 or I-95, an advantage Florence and its Magnolia Mall has, Sumter Mall is in decent shape. The end result was than much of the malls hinterland business was lost to Florence, but local business is strong enough to keep Sumter Mall in decent shape. Away from the mall, Sumter's retail offerings are a bit lacking, mainly Walmart Supercenter and supermarket and drug stores. That seems to be a result of being too close to big box stores in both Columbia and Florence for Sumter's population to support. 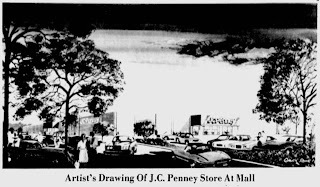 I am from Sumter and remember how excited I was when the mall opened (I was 10). When I got a little older (12-13), my parents would drop me and a friend off at the mall around 12 or 1 and then come back and pick us up around 5 -- these were much safer times! We would go to Aladdin's (game room) and play Donkey Kong and Pacman, etc. There was lunch at Chic Fil A (I remember small fries and coke together cost about $1, can't remember what a sandwich cost). I also got most of my school clothes from Belk, Capitol or Tapp's. 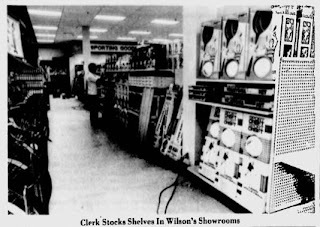 The Wilson's did become a Service Merchandise for a while before it closed. We used to go there because they had demo models of Atari and the new cartridges so you could test outa game before you bought it. The big gossip in town at the time was that the mall was supposed to be named after the state flower (the yellow jasmine), but somebody got the wrong flower name. Never knew if there was any truth to that. Still visit the folks in Sumter some, and have gone to the mall once or twice. It is not nearly as attractive as it used to be. I grew up in Sumter as well. The mall actually opened in August and it was a very big deal in that small town. At the time of the opening, there was a lot of unrented retail space, and would be years before it was all leased. Tapps actually closed long before the chain went belly up. Tapps was only there for 3 years. Sears expanded the store before they moved in. At first, it was to be a full service Sears, but ended up basically being an appliance and auto repair shop. The spelling of the mall name was funny. The town could not understand why it was spelled "Jessamine" instead of Jasmine. 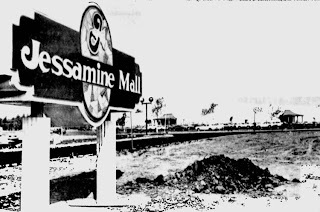 The mall developers stated that they looked up the spelling in the offical SC state legistative manual and it was spelled "Jessamine" A perfect example of what get's people's attention in a small town. I actually worked at this mall. I go back to Sumter to visit relatives and the mall is a shadow of what it use to be, not that it was ever that grand in the first place. I was stationed at Shaw AFB from April 1976 to October 1980, then came back in January 1987 to February 1988. I remember the mall was a big thing, as we had to drive to Columbia to the nearest mall back then. The mall was a lot better back in the beginning then now. I was just there this past Saturday, 16 October 2010. Even the Quincy's steakhouse is gone. When my girls were little, we use to all get a Orange Julius when we would go to the mall. 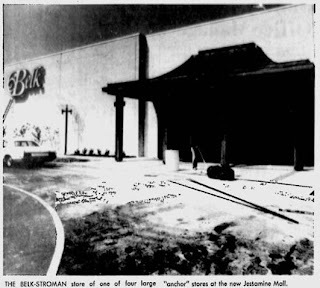 This mall was just full of quirks: the last (and sole) location of Belk Stroman, Capitol Department Store came in and was bankrupted from doing it, Tapp's tried to come in but was already a disaster and the developers couldn't even spell the name right. I would love to know what kind of store Capitol was...I really like their logo. I've only driven past this mall once when I was in Sumter while attending a soccer game at USC Sumter. It looked ok on the outside, but if it's anything like sister malls Prince of Orange mall in Orangeburg or Greenwood Mall in Greenwood then it might be a bit of a hideous mess inside. 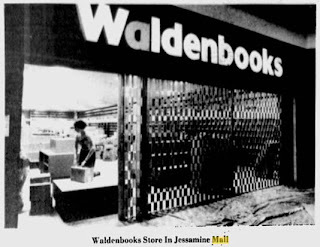 I remember when Jessamine (Sumter) Mall opened and it was a big deal for Sumter and the surrounding area. For those asking about Capitol, it was an upscale department store that came to Sumter in the late 20s and was on par with Tapp's and Davison's out of Columbia. Many of my family members from the area speak fondly and proudly of Capitol's. Most of the stores in the mall were your average chains with some locals mixed in here and there. The mall doesn't have the flair it once did but it still has the city's support though many in the area still go to Columbia and Florence for more shopping choices. Sky City is now on Facebook!